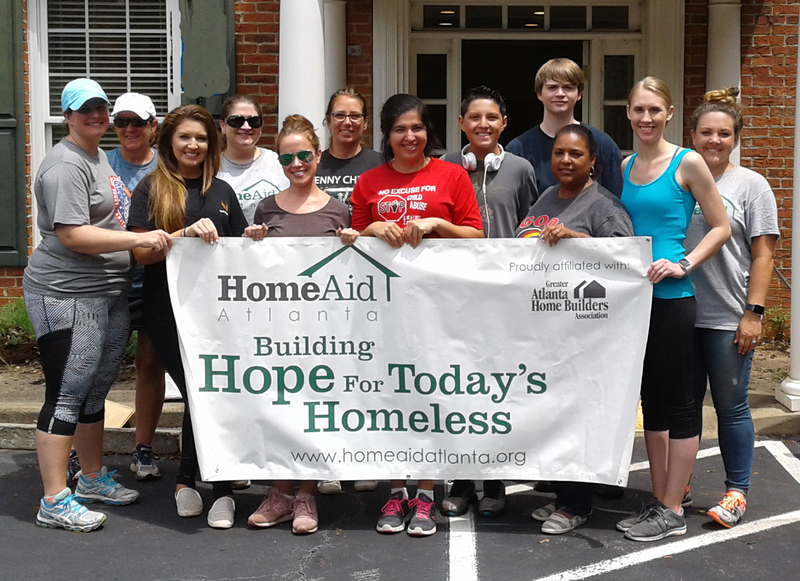 HomeAid Atlanta, a non-profit organization that builds new lives for homeless families and individuals through housing and community outreach, completed quite a few projects in July, while also kicking off several new ones! To end the month strong, HomeAid hosted a Care Day at the Anna Crawford Children’s Center (ACCC) in Woodstock, celebrated the completion of a renovation project at Making a Way Housing in Atlanta and broke ground on a new renovation project at House of Dawn in Jonesboro. The HomeAid Care Day, a “done in a day” work day providing free of charge maintenance or repairs, brought together members of Denim Marketing and the Mortgage Bankers Association of Georgia (MBAG) on July 24 in Woodstock. Throughout the day, attendees completed much-needed tasks including landscaping around the building, pressure washing, installation of light bulbs throughout the facility, and removal of old furniture from space that will become an on-site clinic and counseling space, along with help from ACCC staff. Waste Pro USA provided support by donating a dumpster for the event. ACCC provides mental health services, forensic interviewers, family advocates, and parent mentors and educators for thousands of Cherokee County children and family members impacted by child sexual abuse, physical abuse, neglect and exposure to violence, allowing them to live healthier, fuller and happier lives. Often, children who are served through ACCC are removed from their homes and placed in foster care due to abuse. According to the Georgia Department of Community Affairs’ 2017 Point In Time Homeless Count, children under the age of 18 comprise 23 percent of the state’s homeless population. ACCC is a safe place for abuse victims at risk for homelessness. For more information on Anna Crawford Children’s Center, visit www.cherokeechildadvocates.org. HomeAid is proud of the work done for Making a Way Housing, which provides emergency, transitional, and permanent supportive housing and case management to homeless adults, male and female, facing complex challenges associated with chronic homelessness, substance abuse, mental illness, and HIV and AIDS. 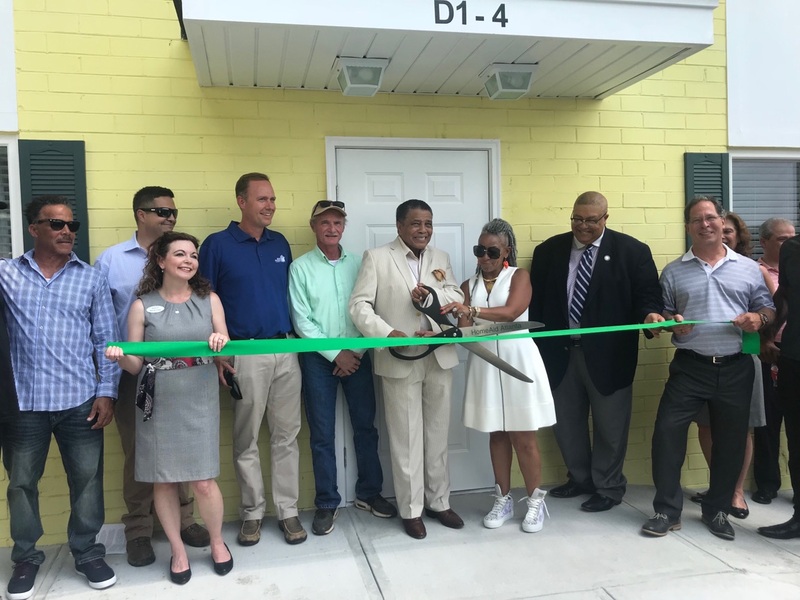 On July 19, a ribbon cutting was held to mark the completion of a renovation project that added 16 new beds at this life-changing facility. The Brock Built team, in partnership with HomeAid, transformed the exterior of the building with fresh paint, new doors and windows, and new interior finishes including low maintenance laminate flooring and updated GE kitchen appliances. The project also included updated plumbing and light fixtures throughout, a new roof, and a new HVAC system. The apartment building is now known as The Gertrude Iraldo Thompson Memorial Building, in memory of Making A Way Housing Executive Director Liz Thompson’s mother. 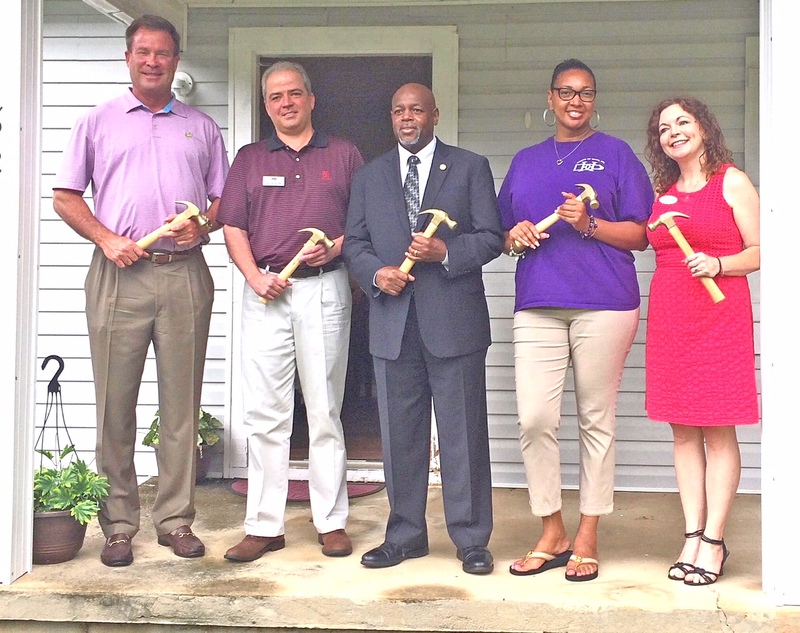 On July 20, HomeAid Atlanta and House of Dawn supporters gathered to kick off a new renovation project at the facility in Jonesboro. The project, designed to help build new lives for young and expectant mothers experiencing homelessness, is a renovation of the Transitional Housing Program’s two duplexes. Once complete, the renovation will have added a new bathroom to four units, doubling the number of mothers and their children who will call House of Dawn home as they work toward the goal of self-sufficiency. House of Dawn (HOD) provides a stable, loving home for young mothers and their children at risk for homelessness and abuse, as well as educational opportunities and the life training skills to become independent, self-supporting women. Doug Cotter, in partnership with Silverstone Communities, will serve as HomeAid Atlanta’s volunteer Builder Captain. The Transitional Housing program serves young mothers ages 18-24 and their children, who need supportive housing assistance for up to two years.